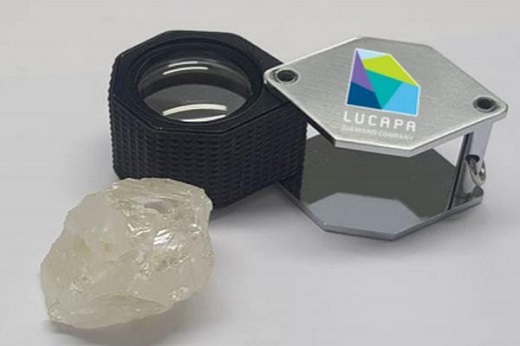 RAPAPORT... Lucapa Diamond Company’s sales fell 49% year on year in the third quarter as the miner withheld a parcel of large stones until after Angola’s new marketing policy goes into effect. Revenue came to $4.5 million from two tenders during the three months ending September 30, the company reported Monday. Sales volumes declined 4% to 5,058 carats, while the average price fell 47% to $893 per carat. Production slid 14% to 4,561 carats, with the miner recovering 46 stones weighing more than 10.8 carats each. Lucapa decided to hold back a number of high-value special stones from its Lulo mine in Angola that it intends to sell during the fourth quarter, it said. It expects the nation’s government to release details of its reformed regulations for diamond marketing in that period. “The company believes that significant additional value will accrue to Lucapa and its Lulo partners from marketing these select specials under the new marketing policy,” the miner explained. Sales fell 16% versus a year earlier to $20.4 million in the first nine months of 2018, while production for the same period rose 4% to 14,126 carats. Lucapa’s rough-diamond inventory from Lulo stood at 2,272 carats on September 30 — including the specials it withheld from sale — 33% higher than a year earlier, the miner added. Last week, the company secured a $7 million investment from South Africa’s Industrial Development Corporation to develop its Mothae mine in Lesotho, which it acquired in January 2017. Lucapa will begin commercial diamond recoveries from the asset in early November, it said.